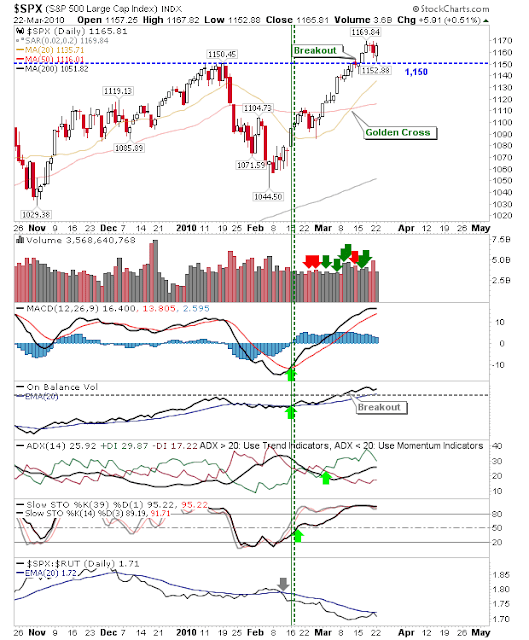 After Friday's trading, markets had posted the first significant loss on volume - enough to suggest it was the beginning of the end for the various market rallies. However, bulls proved they weren't done yet as they pulled up the boot straps from a weak open. 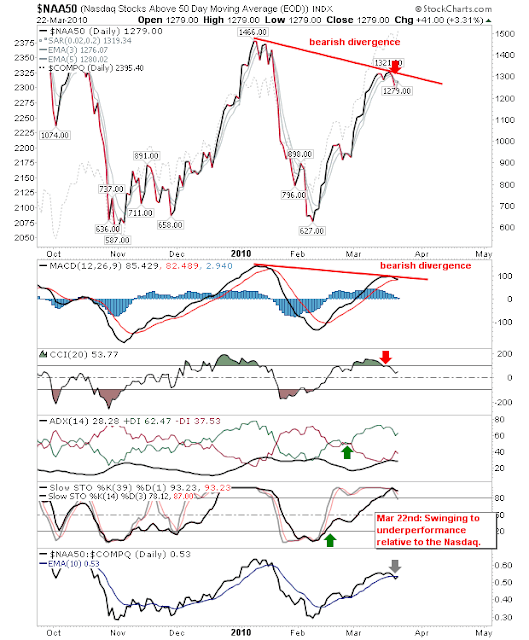 This was no more clearly evident in the S&P which enjoyed a picture perfect defense of breakout support. 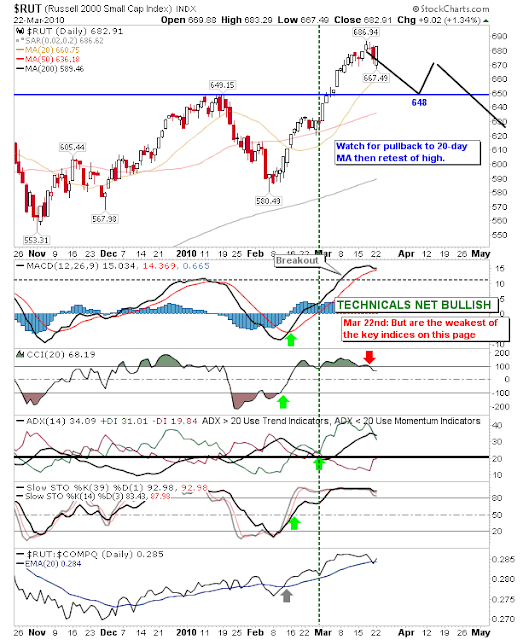 The Nasdaq closed with a surprising bullish engulfing pattern, a pattern which works best off oversold conditions, not the heated market currently experienced. 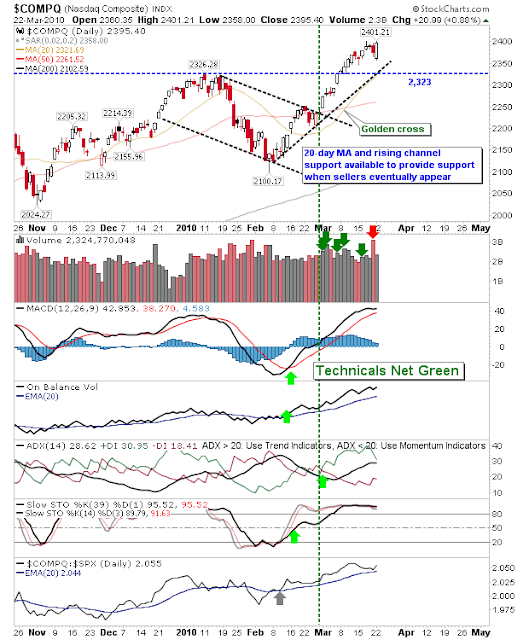 The semiconductor index posted a 2.5% gain which helped boost the Tech averages. Technicals are a little scrappy with the CCI oscillating around the '100' sell trigger line and the Directional Index running side-by-side in a net trendless fashion. Small Caps are the tricky one. 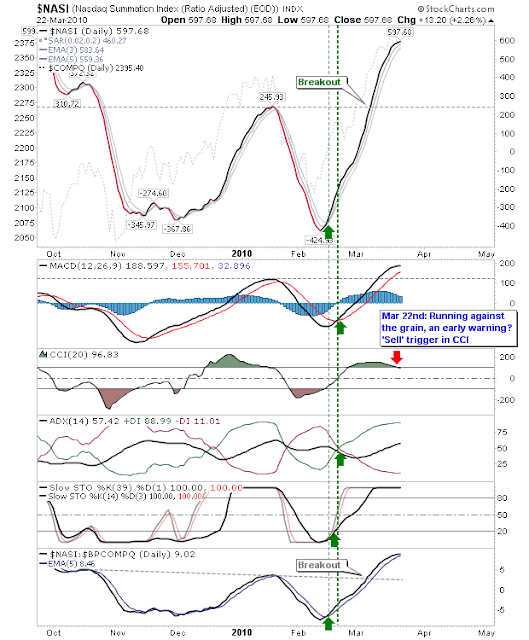 On the face of it they also enjoyed a strong day, but supporting technicals are little rockier with the MACD trigger line on the verge of a 'sell' and the CCI weakening further from an earlier 'sell' trigger. 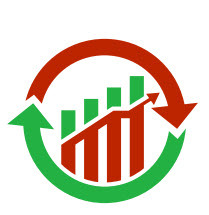 Today looked the kind of day for selling into strength - not buying. 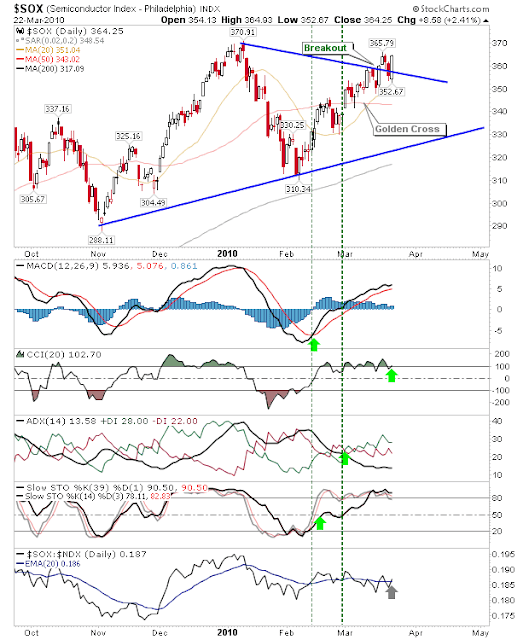 And the underperformance relative to the Nasdaq for the Bullish Percents; CCI 'sell' trigger, MACD bearish divergence and bear cross of 3-day and 5-day EMAs. The developing weakness runs contrary to the gains posted in the Nasdaq.